This month we’re focusing on the wonderful world of chai. Worldwide, Chai is one of the most popular beverages. Its gorgeous spices add warmth to the blend which is what makes it so uplifting. The origins of chai can be traced back over 9000 years to ancient India, where it was traditionally used to treat minor ailments such as digestive and immune issues. These health benefits are much more potent when the spices in the blend remain whole or partially cracked open, rather than ground. By using freshly cracked spices in a chai you are able extract the essential oils more efficiently and balance the flavour. 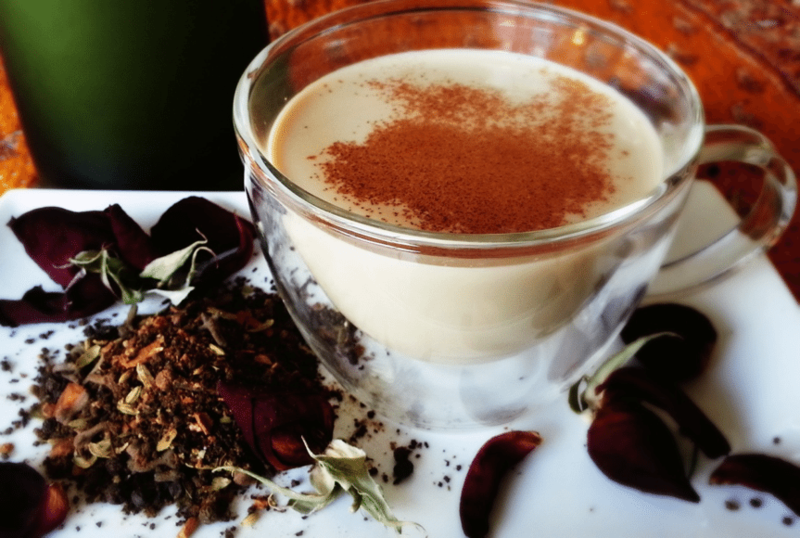 Blending chai spices is part science, part art. It is not only enough to know which spices to use, there is an innate understanding that is required to find the perfectly proportioned brew. The spices historically integral to any good chai blend were cardamom, cinnamon, pepper and ginger based which are all beneficial for digestion. In modern times we have added combinations including allspice, nutmeg, star anise, fennel, chilli, saffron and coriander seeds to create and exciting range of flavours to suit your taste buds. 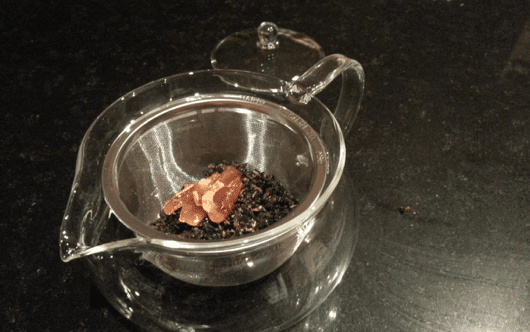 An emerging trend is to add honey to a dry chai mix and call it ‘fresh chai’. This in itself is a nonsensical term as adding honey to a dried product does not make it fresh again, it just makes a sticky mess that loses its flavour quickly and needs to be refrigerated after opening. Brewing a good quality dried chai and then adding honey to it is not only the more logical alternative, but is also a great way to have control over your sugar consumption, which is something that has become a popular choice recently, and a great way to enrich your wellbeing. Every sale of our chai blends contributes to our sponsorship of people in underdeveloped countries through Kiva, particularly women working in agricultural endeavours. Ali McGregor, cabaret singer and proponent of the sugar free lifestyle, has recently recommended our blend of the people’s chai in her feature in The Age’s Epicure. Thanks to her generous endorsement we have been able to add two new loans to our Kiva portfolio to continue to help to enrich other peoples lives. 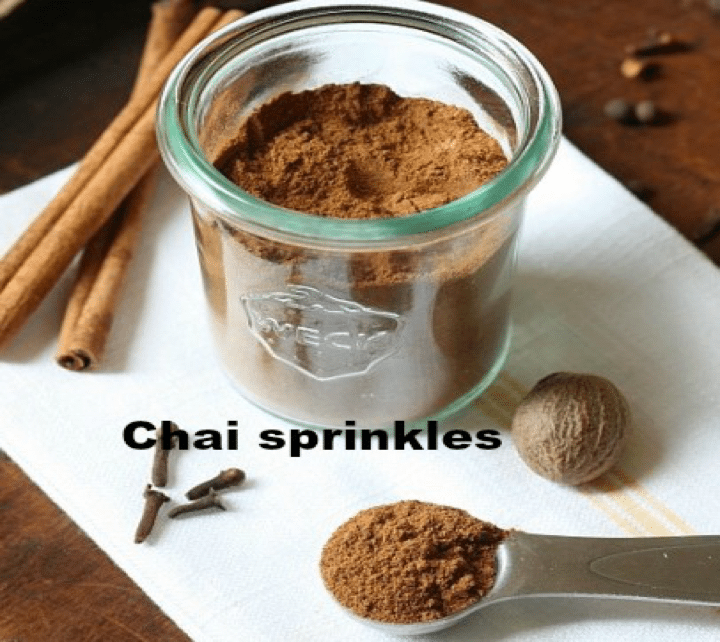 Our new launch this month is our Chai Sprinkles. They are a great sugar free topping perfect for any hot drink, as well as muesli, cakes, fruit and even as an addition to cookies or other fantastic sweet treats. They are made of an aromatic blend of spices with a dash of pure cocoa nibs that complement chai tea greatly. Making a traditional brew at home is easy with an infuser tea pot, or coffee plunger, but if you are on the go or do not have access to these items we also have disposable tea bags and reusable muslin tea bags which you can now purchase online in our accessories section together with spice shakers and infuser teapots. 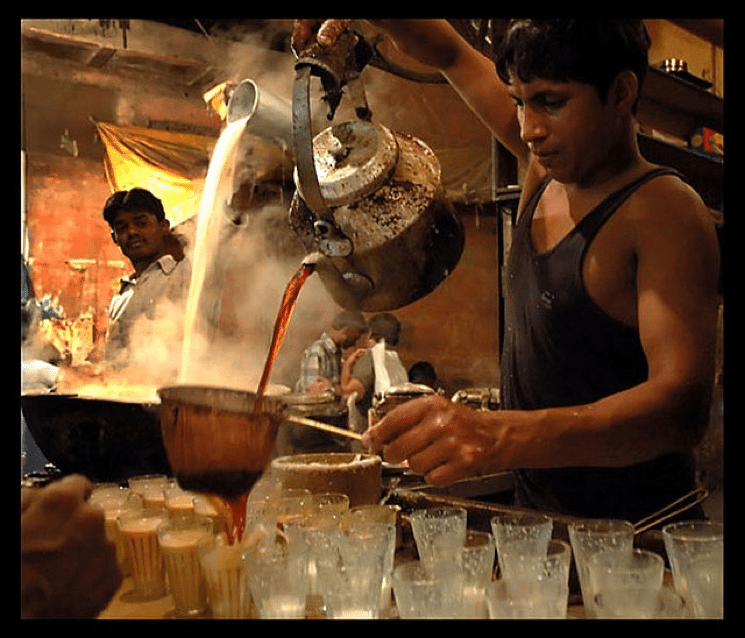 Photo courtesy of BBC news – Indian chai wallahs brewing traditional chai with cow’s milk and lots of sugar. To learn how to brew the perfect chai at home have a look at our video tutorial to get you on your way. Don’t forget that Mother’s Day is coming up, Chai could be the perfect present for the mother in your life.